Every year in september, Goulash Disko closes the European summer festival season in the middle of the Adriatic sea, where a big family of beautiful souls gathers to celebrate music from the Global Underground. 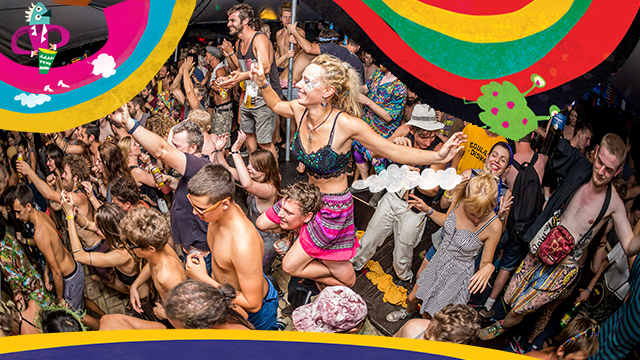 As well as being known as a legendary 5 days party, Goulash Disko is also a crowdfunded, 100% independant and sponsor free festival...a magical experience combining positive music, virgin nature and collective awesomeness. This year the festival will happen from 11th to 15th september 2019, but will be extended with the traditional opening party on the Day 0, and an extra Day+1 for those who don't want to leave Vis island. There will also be before and after parties in Split and Zagreb. That means a full week (or more!) of beach, sun, smiles, and a lot of dancing...we suggest you take enough time to enjoy all of it. 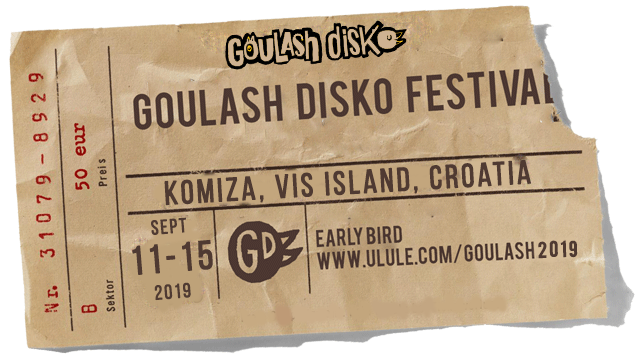 Goulash Disko takes place in Komiža, one of the most remote fisherman village in Croatia, and supposedly the sunniest spot in Europe. It is well known for its beaches, sunsets, lemons, domestic wine and laid back attitude…Just have a look at the video and pictures below to get a feel of the paradise we are in love with. We work hand in hand with the village to grow Goulash Disko festival as a sustainable part of the island, which is why it remains a small scale, intimate and organic gathering. The festival is limited to 1000 visitors, and everyone taking part of it is expected to behave as proper Goulashian: with love, consciousness and respect. We aim at raising 25000€, and all the money will be used to gather a stellar lineup and build the best possible infrastructure. In terms of music, Goulash Disko knows no limits and we love to explore new sounds and genres rooted in the Global Underground. 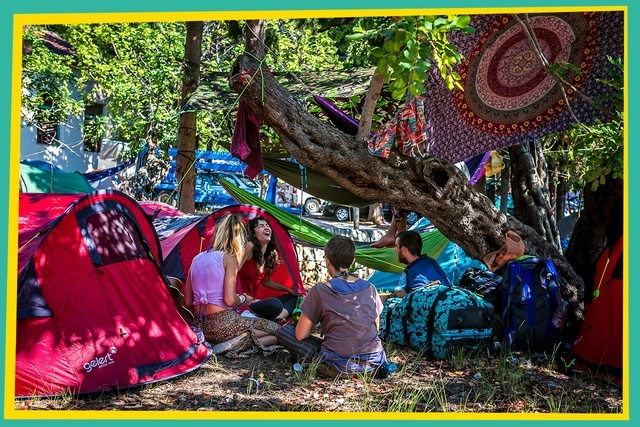 Expect world infused and eclectic music styles: Tropical Grooves, Oriental House, Gypsydelic, Voodoo Jazz, Swing Folk, Ethno Dub, Gypsy Punk, Organica, Latintronics, and everything in between...Beside music, performers and workshops of different kinds will spice up the program during the whole festival. Over the past years, we booked artsts such as Channel One, Mop Mop, Habibi Funk, Soom T, L'Entourloop, Frivolous, Parno Graszt, Martha Van Straaten, Bwoy de Bhajan, Mr. Raoul K, Dunkelbunt, Zion Train, Barrio Lindo, Guts or Bukahara ; as well as takeovers by labels and collective such as Multi Culti, Nomade, Tropical Twista or Shika Shika. For more insights about Goulash Disko music styles, you can check our website to see most of the artists that we invited so far, or press play below to listen some of the dj sets recorded at Goulash Disko festival 2018. In total, we will book a minimum of 40 DJ's/Producers and 10 bands, coming from as many countries as possible. Vis is a very remote island, but easily accessible since it has a good boat connection from Split. You can get to Split directly by plane (easiest option), but you can as well land in a nearby airport -Zadar, Dubrovnik or Zagreb-, then get to Split by bus or train. To find the best options available, we suggest you to use Google Flights, or Skyscanner. You can find about buses, trains, catamarans and ferry schedules in Croatia here. When you arrive on Vis island, local bus, taxi or friendly locals will drive you to Komiža, located on the other side of the island. In cooperation with the city of Komiža, we are setting up a temporary camping spot on a protected piece of land, shaded by pine trees and accessible by cars and camper vans. The camping will be open from September 10th to 17th, and in order to cover the costs of toilets, water and tourism tax, a participation of 200 HRK (30€) for the 7 days will be asked to all visitors. Camping tickets will be available separately after the crowdfunding campaign. 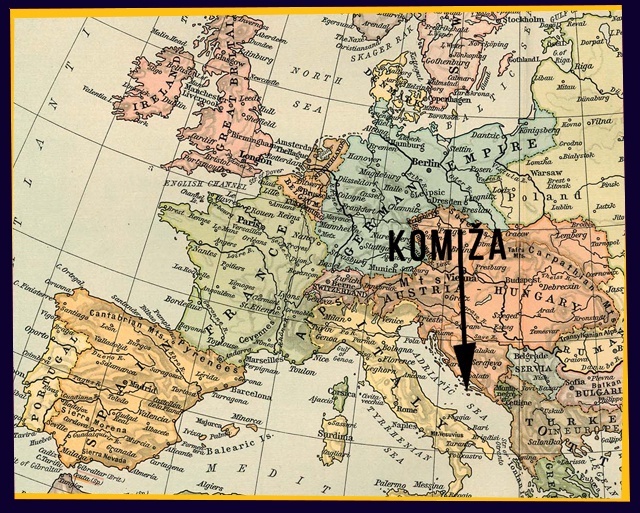 If you are coming by car or camper van, you will have to pay an extra amount (cca 15€) to the city of Komiža to park your vehicle in the camping zone during the festival. There are plenty of accommodation options in the village, from basic rooms to luxury houses. Prices usually vary between 15 and 50€ per night per person. 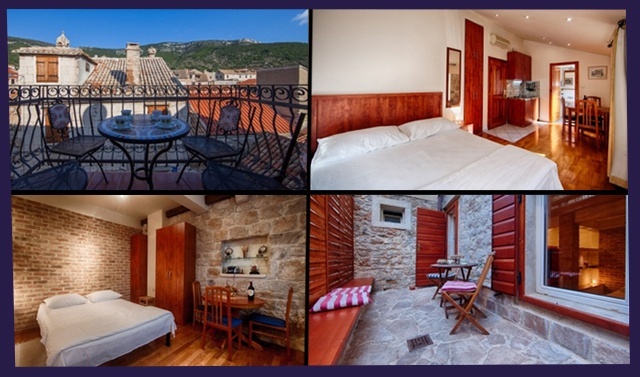 If you want to book private accommodation, we suggest checking out airbnb.com (search for Komiza); asking a local tourist agency to find something for you; or getting in touch directly with the apartment owners listed at the Komiža tourist office website. And if you're up for a classy holiday, you may be interested in one of the charming flats of Villa Nonna -our favourite, see picture below! To be part of Goulash Disko 2019, it is simple : CROWDFUND THE PROJECT! Limited amounts of Early Bird Tickets are available, starting at 50€ and gradually increasing until 140€. Early bird Tickets will be available only through the Crowdfunding campaign, until 30st april 2019. After that, regular tickets will be available online for 150€. Please note that in total, only 1000 tickets will be available, and that the festival is likely to sell out. 10 Group tickets for 5 people are also available for 500€. When they will be gone, the group ticket price will go up to 600€ and will be available in unlimited quantities, until 30st april 2019. Group tickets will not be available after the crowdfunding campaign. Ex-Yu citizens will be able to get a limited amount of discounted tickets, but only AFTER THE CROWDFUNDING CAMPAIGN. Ex-Yu Early Bird tickets will be +-50€, and regular tickets +-75€. To be eligible for en EX-Yu ticket, you should hold a valid ID card from any of the following countries: Croatia, Serbia, Bosnia and Herzegovina, Montenegro, Slovenia, Kosovo, or Makedonia. Goulash Disko started as a Balkan Beats clubnight, 8 years ago in Dublin, where we (Iva and Yves, in the beginning) lived at the time. 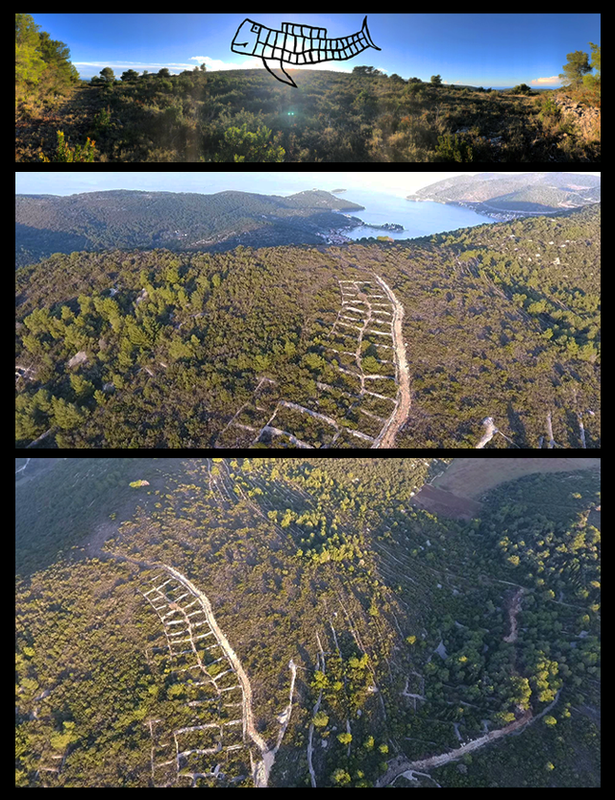 After relocating in Croatia, we had the idea to organize the first ever crowdfunded music festival in the world, on this little paradise that we discovered many years ago. Luckily, it worked and the rest is history! Things have been brewing on our side: Goulash Disko and Brodoto crews have joined forces, and together we got a big (huge!) hill on Vis island. Our idea is to develop an eco-village, where we will produce our own electricity, grow our own food and build our very own tiny world. Think high-tech and off-grid; carbon-neutral and plastic-free. Sustainable agriculture, ecotourism, island development sprinkled with a good measure of education and activism: there's space for all of it here. This is a very exciting adventure that just started, so if you want to get involved or follow the project, here is The Stonefish FB page. Needless to say, we will need some money to build this beautiful dream, so we're going to invest most of the money we may make at the festivals for the next years to come to make this happen! If you like what you see, you can follow us on Facebook, Soundcloud or sign up to our newsletter. You may want to attend our Goulash Disko Festival Facebook event as well, to get the news while they're hot! More questions? Contact us at goulashdisko[@]gmail.com or on our Facebook page! We hope to see you in paradise! A good old Early Bird Ticket in your pocket! Welcome to Goulash Disko Festival 2019! Come with your crew, get a bargain! 5 festival passes for only 600€! Congrats, you are the first Goulashian of 2019! Eccentric and intelligent, your ticket may however be completely lacking in common sense. Your ticket is sketchy, and awesome at the same time. Even the Jungle is not as massive as your ticket. Better than 'cool', 'awesome' and 'tight' combined. Your ticket is RAD. Your ticket has groove, and is ready to rock Goulash Disko Festival! Clever and cool. Everyone wants to hang out with your ticket. Cooler than cool, or even ice cold...your ticket is the epitome of greatness. Come with your crew, get a bargain! 5 festival passes for only 500€!